All The Write Stuff: Meet Hank Phillippi Ryan, Award Winning Investigative Journalist andBestselling Award Winning Author! Meet Hank Phillippi Ryan, Award Winning Investigative Journalist andBestselling Award Winning Author! With award-winning Hank Phillippi Ryan as this year's GLVWG "Write Stuff" keynote speaker, things are sure to be exciting! Her impressive dual-career accomplishments -- award-winning investigative reporter for Boston's NBC affiliate and bestselling award-winning crime fiction author -- gives her an exceptional insight on what it takes to be an engaging storyteller. Her "It's All About The Story" keynote presentation and "Using TV Techniques to Write a Killer Novel" session are sure to be advantageous, entertaining and uplifting. Congratulations on the Agatha and Left Coast crime nominations! When you wrote your first novel, you already had a very successful career as a television reporter. What made you add fiction to your resume? Did your childhood love of Nancy Drew evolve into two careers? I fell in love with Nancy Drew, then, soon after, Sherlock Holmes. Then soon after that, all the wonderful Golden Age mystery authors—Ngaio Marsh and Josephine Tey and Dorothy Sayers...and of course Agatha Christie. And yes, that’s where my love of mystery storytelling was born. But when you think of it, journalism is also story-telling, right? It’s just stories that are true. I never gave up my love of mystery and thriller reading, but—okay, I’ll admit it. I just never had a good idea for my own fiction. After that, I was completely hooked. Now I have the joy of juggling two fabulous careers—stressful, and high-stakes and unpredictable, yes—but I am very lucky. How does your work as a reporter influence your writing? HANK PHILLIPPI RYAN: Well, that’s the amazing part. It’s all about telling a story, right? Whether you’re making it up or not. I am well aware, as a TV reporter, that if a viewer isn’t interested, entertained, informed, and riveted, they can simply zap me away with the click of a remote. So I have learned, over all these years, to tell a good story. I’ve also wired myself with hidden cameras, confronted corrupt politicians, gone undercover and in disguise—been tear-gassed and at hostage situations, at fires and crime scenes, had people confess to murder, seen how people behave when they’re lying or terrified. So there’s an authenticity from my day job that I bring to my crime fiction. The things that happen to Jane COULD happen to me! And some of them certainly have! So having this career which brings me into places the public can’t always go and into situations that can be exciting and high-stakes gives me a never-ending (I hope) source of inspiration. I don’t take my TV stories and fictionalize them, but I do use the real-life experience to make it genuine. While crime plays a major part in your novels, the violence takes place “off the page.” Was that a conscious decision or just something the evolved as part of your writing style? HANK PHILLIPPI RYAN: Oh, interesting. When I read a particularly ghoulish and violent book—confession here—I sometimes skip the graphic parts. (Yes, I know, its funny, since my real life shows me a very dark part of the world.) Did I decide—oh, I’m not going to go graphic? No. But they always say to write the kind of book you love to read—and for me that’s Lisa Scottoline, Linda Fairstein, Sue Grafton, Laura Lippman, Meg Gardiner, John Lescroart, Harlan Coben, Steve Hamilton. Very very suspenseful, yes, very high stakes, yes. But gory/bloody/violent? No. So I write my books to be page-turners—as Library Journal called THE WRONG GIRL “stellar” and a “superb thriller”—but they are not, um, stomach-turners! Can you tell us a little bit about what inspired you to write The Wrong Girl? I’m laughing now, even as I type this. I remember thinking—thank you, universe! THE WRONG GIRL! There’s my book! A book about mothers and daughters, the struggle of adoption, from all sides, the need for a family. What if someone made up a family history for you—would you believe it? What if you didn’t know the truth about your own family? How would you recognize your own daughter? Fascinating and relevant questions. And I was off and writing! What’s turned out to be just as timely and fascinating—there’s a huge problem, making headlines right now, about the chaos in the Massachusetts foster care system. A completely fictional version of that is key to THE WRONG GIRL. Amazing huh? That book is written WAY before those headlines. And now it’s nominated for the Agatha for Best Novel. Hurray. I imagine some of your investigative experiences, such as sporting a hidden camera when undercover, has helped you "harvest the emotions and logistics" for your protagonists and their stories. For fiction writers not in a position to draw upon such pertinent life experiences, what advice would you give? Also, would you mind giving perhaps an example of one of your book scenes which was enhanced by your journalistic experiences? 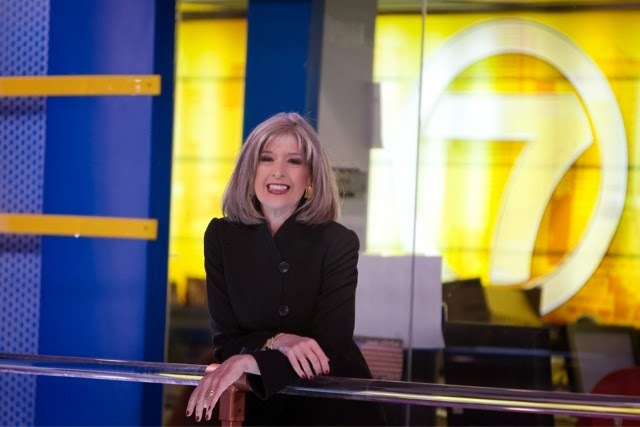 HANK PHILLIPPI RYAN: The thing that makes a good “reporter’ whether they’re a journalist for a media outlet, or a writer collecting fodder for novels and stories, is to have an open mind, to listen listen listen, and to care about the world. And to be—unendingly curious. Sometimes we go through life with blinders on, right? Going where WE’RE going, and wishing everyone else would get out of the way. But why, for instance, does one grocery store bagger do a really good job, and another doesn’t? Why are some of the people walking down the street smiling, and why are some frowning? How do people hold their bodies when they’re upset? How do people’s voices change when they’re not telling the truth? How do they talk to their children? How do their particular kids talk back? Why? All this is fascinating stuff. And valuable stuff. And it’s all there for the taking! You simply have to care—you have to decide to care. A scene, huh? In my book AIR TIME, Charlotte McNally, a reporter, goes undercover and in disguise, carrying a hidden camera, to a certain event. I’ve done exactly that—so I know how I felt at the time. Worried, pressured, determined. Was everyone looking at me? Would people notice the lens? How would I behave, I wondered, if I had actually been invited to this event? I’ve also been caught with a hidden camera, so I’m gunshy about it. I felt nerves, and fear, and the weight of experience—as well as the journalistic imperative to get a good story. Could I have made that up? Ah, maybe. But there’s going to be an authenticity to reality that can be hard to match. In addition to your scheduled keynote talk "It's All About the Story," you will be teaching a session called "Using TV Techniques to Write a Killer Novel." Could you give us a little teaser about what you will cover in this session? Also, any chance of getting a teaser for the keynote talk or do we have to wait? HANK PHILLIPPI RYAN: TV Techniques? This is my favorite class ever. It’s so useful, for ANY genre, and I get emails all the time from people saying—“wow! I just solved a writing problem using exactly what you told me!” And that’s exactly what I hope will happen. Basically, here's what you need to do to produce a successful television news story: develop memorable characters. Build suspense. Show conflict. Tell a compelling story. Create a satisfying ending. Find justice. Change lives. That's exactly what I’ve been doing my entire career. But here's the scoop. Writing a successful mystery, thriller or romantic suspense novel – or short story – requires exactly the same things. And I’ll use my years of experience with journalism to give your book or short story a boost. I’ll give you a top-ten list of questions, journalism techniques, and solid practical applications that will teach you the story-telling secrets of television news. And then: I’ll show you exactly how those skills can work for you to develop the novel you always wanted to write. Or to make your next book better! The keynote? Well, that’s secret. But I will reveal something Dennis Lehane told me! Here's a question you probably get often. If there would be one solid and favorite piece of advice you tend to give to others (writers and would-be writers), what would it be? Would it be the same or would it be different if the advice seeker's genre was fiction or nonfiction? HANK PHILLIPPI RYAN: Exactly the same. Never never never give up. Look at your goals as something that can truly happen—here’s a quote: “What would you attempt to do if you knew you could not fail?” Do that. Actually, I have a lot of really valuable advice, if I may say so. Which I will talk about at my session! What are you working on next? Will we get to see more of Jake and Jane? HANK PHILLIPPI RYAN: Yes, absolutely! (And thank you.) TRUTH BE TOLD will be out on September 30. It’s about a mortgage banker who decides to keep her economically-challenged customers out of foreclosure by manipulating their records so it looks like they’ve paid—good hearted, of course, but illegal. It’s about a man who confesses to a cold case murder the police have stopped investigating--why would he do that? And about a reporter who makes stuff up. Will Jake and Jane find a way to be together? We shall see. Hank Phillippi Ryan is the on-air investigative reporter for Boston’s NBC affiliate. She’s won 30 Emmys and dozens of others honors for her ground-breaking journalism. The best-selling author of six mystery novels, Ryan has won multiple prestigious awards for her crime fiction: two Agathas, the Anthony and the Macavity, and for THE OTHER WOMAN, the Mary Higgins Clark award. 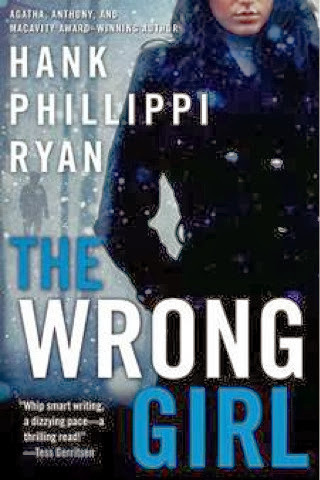 Her newest thriller THE WRONG GIRL was dubbed “Another winner!” in a Booklist starred review, and is now a Left Coast Crime nominee, as well as AGATHA nominee for Best Novel. Her first series includes the Agatha-winning PRIME TIME, and Agatha and Anthony nominated AIR TIME AND DRIVE TIME. She is 2013 president of national Sisters in Crime, and a former national board member of Mystery Writers of America. Watch for TRUTH BE TOLD this fall! Thank you, Tammy! Really looking forward to it! Hank, I think the universe led me here today. After a few days of feeling blue, I needed to hear this: Look at your goals as something that can truly happen—here’s a quote: “What would you attempt to do if you knew you could not fail?” Do that. Thank you - and can't wait for September!